While Ford showed off the 2017 version of its offroad Raptor truck at the 2015 NAIAS in Detroit, RAM unveiled their own offroad enthusiast truck to take on Ford in the years to come. Like the Raptor, and Reaper from Chevy, the new made-for-offroad RAM's name also starts with an "R" and sounds really cool: Rebel. With sales of RAM trucks up 24 percent in 2014, this seems ot be the perfect time for the brand to pull out its big guns in order to win even more market share from Ford and GM in 2015. In 2014, Chevrolet showed off its Raptor competitor in the custom Silverado Reaper. Unlike Ford's F-150 SVT Raptor, however, the Reaper doesn't come straight from the factory and is not likely to be found on many showroom floors. Custom built by Lingenfelter Performance Engineering (LPE) and Southern Comfort Automotive, the Reaper must be ordered to be experienced. 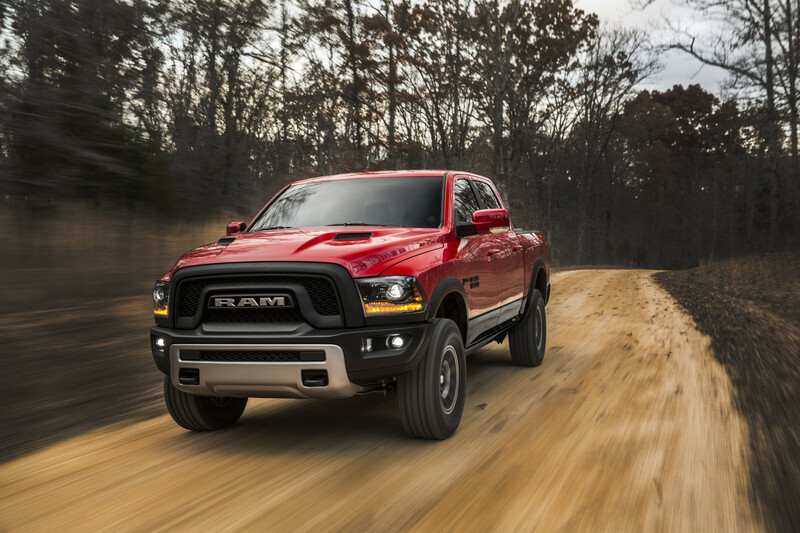 This puts it a little further out of reach than the Raptor (and soon the Rebel), which can be found at dealerships across the U.S.
Let's take a more in-depth look at the latest RAM truck. The 305-hp Pentastar V6 and 395-hp HEMI V8 are the same as offered in the regular RAM 1500 lineup. Gone is the classic RAM grille that is recognizable from a mile away. In its place, the company has branded the Rebel similar to the Raptor by placing a large black "RAM" text in the rear and smaller silver text in the front. The name "Rebel" also appears in a stylized font on the back of the truck. Coupled with an eight-speed transmission and only offered in four-wheel drive, the Pentastar V6 Rebel marks the first time that the engine has seen a 3.92 gear ratio.